We look forward to making your stay ... extraordinary! CARMEL BOUTIQUE INNS is a collection of Carmel-by-the-Sea’s most remarkable privately owned and operated small hotels, luxury bed and breakfasts, and unique cottages. Each Carmel California property holds to the highest standard of excellence in accommodations, guest services, and cuisine. 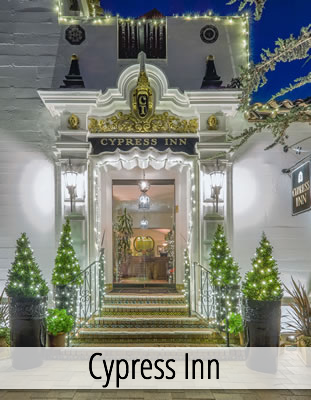 With the exception of Cypress Inn, which is co-owned by actress Doris Day, each of the Carmel Boutique Inn is owned by either business man Denny LeVett or his daughters, Amanda and Kate. 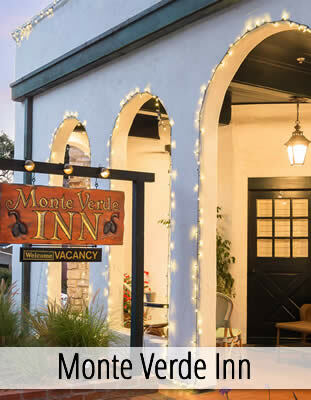 Carmel Boutique Inns includes Cypress Inn and Terry’s Lounge + Restaurant, Vagabonds House Inn, Carmel Lamp Lighter Inn, Forest Lodge, and Monte Verde Inn. 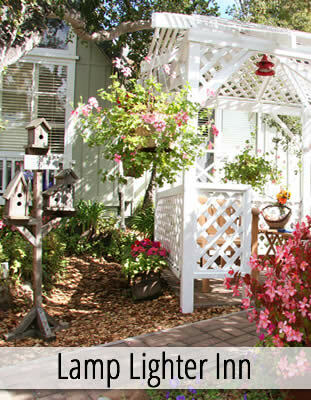 Each of the Carmel Boutique Inns, is a wonderful place to stay as you travel with your pet to Carmel-by-the-Sea. 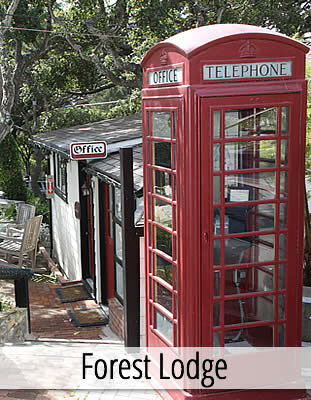 Carmel is a pet friendly town where dogs can run free on Carmel Beach, and walk on leash throughout the town. Doggie pick up bags and a spot to wash off your pet after a romp at the beach are offered at each of the inns. There is a unified effort among the Carmel Boutique Inns to make every effort to preserve the beauty of Carmel and its natural resources by becoming more and more eco-conscious. From the amount of water, to the cleaning products and even to the materials used in our recent renovations, we are doing what we can to preserve the environment. 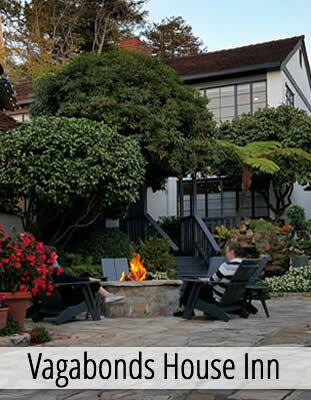 Choosing a best place to stay when coming to Carmel is not always easy. 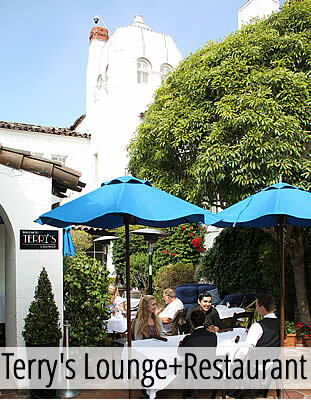 Let us assure you to that selecting one of our Carmel Boutique Inns will result in a lifetime of cherished memories. Find a variety of lovely shops, boutiques and visit Carmel Plaza for an exceptional experience. A mile trip to either the Barnyard Shopping Center or Crossroads Shopping Center where you can find unique shops and restaurants should also be on your agenda. A variety of wonderful restaurants await your choice. We are also happy to recommend our favorites.